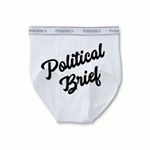 Lots in today's brief. Lanny Davis was his own anonymous source. Americans are against impeachment. Ocasio-Cortez...'nough said.